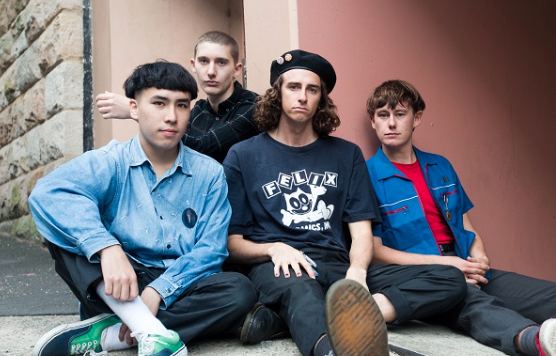 Homegrown legends Bleeding Knees Club are back to business following a three-year hiatus and have wasted no time reminding us why we love them with their new single ‘Chew The Gum’. The track is the first taste (and title track) from the group’s upcoming EP, which is set to be released Friday, April 14. ‘Chew The Gum’ features the same grunge-like apathy we’ve grown to love from the group along with an infectiously catchy instrumental riff. The alternation between instrumentally thick and thin sections throughout the track work to exhibit the vocal melody and lyrical content — something which is reminiscent of a long lineage of garage-punk bands all the way from The Cramps to Violent Soho. Despite a change in the group’s lineup, Bleeding Knees Club have paid homage to their humble garage-pop beginnings while taking a step in a new direction.